Virgin Media was founded in 2006. It provides various services like telephone, television and internet to its customers. It is a subsidiary of Liberty Global. You can create an account in different categories like home or business purpose. It has launched a virtual mobile network for the first time in the world. For more information, go to the web address of Virgin Mobile and step ahead for Virgin Media Email Login. This process will let you access to every feature of Virgin Media. Enter the web address my.virginmedia.com in your new web browser. There is sign in on the top right side. Click on it, and a drop-down menu will appear. Choose the option you want to log in. There is My virgin media and Mobile your account. After choosing your account, click on Sign in Similarly, you can also click on the email as seen the homepage. Ensure that you have entered a correct email address and password. Click on Sign in. Now your account will be logged in. If you have forgotten your email address, simply click on Forgotten your email address link of the login section written in red font. A recovery page will open where you have to enter your virgin mobile number, your last name and postcode. After that click on send. You will receive SMS on your phone that includes your email address. If you have forgotten your password, then the best method to get it back is to reset it. You will not get your original password, but you can set a new one. For this, click on Forgotten your password link in the login page. A password recovery page will open. Now, you have to enter your login email address. Also, enter your virgin mobile number. Click send. Then follow the instructions to reset your password. After resetting your password, you can login to your account by your new password. 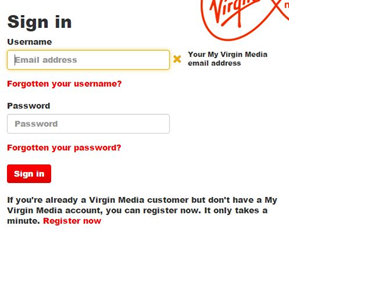 How to create Virgin Media login account? 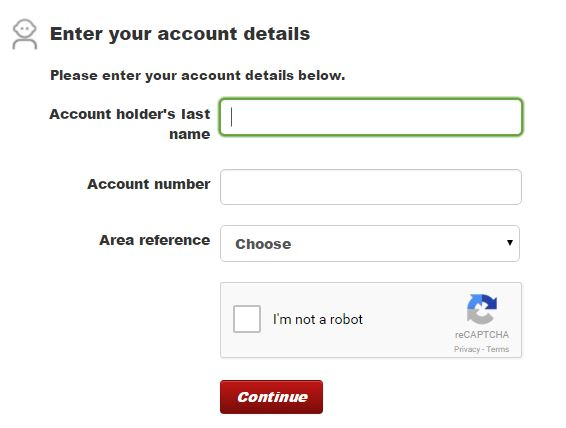 To create a virgin media account, first, go to the login page. There is Register now on the bottom side, click it. It only takes some minutes to register your new account. A new registration page will open. Now you have to enter your details to proceed. Enter your last name. This must be the account holder’s last name. Now choose your area reference number. For your area reference, look at the top of your paper bill. You can also look into your eBill email notifications. It’s a two digit number. Now, follow the remaining instructions to complete your registration process. If you can’t get your area reference number, then you can go to the help and support section to resolve your problem. You can also directly contact them in their number.